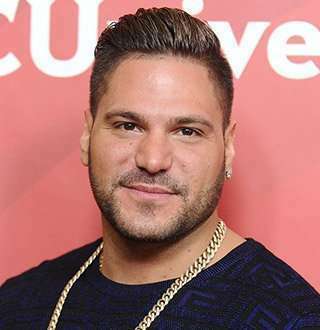 American television personality Ronnie Ortiz-Magro failed multiple times when it comes to his love relationship and personal life, but his bond and love for his newborn daughter proves that he could be blissfully committed in a relationship. The Bronx native is famously known to be one of the eight main cast of the MTV reality television series Jersey Shore: Family Vacation. Ronnie is a famous American reality TV star and also a versatile actor by profession. Let's take a tour inside the life of handsome hunk Ronnie with some juicy facts about him waiting to be unraveled. Ronnie was born as Ronald Magro Jr. on December 4, 1985, in The Bronx, New York, The USA. He is an American citizen who was born to father Ronald Margo, an Italian American who worked in real estate, and mother Constance Ortiz, a woman with Puerto Rican roots. Also Read: Matthew Gilmour Age, 27, Expecting Baby No. 3 With Wife Elizabeth; Joyous Moment! The famous TV personality carries a mixed ethnicity from his Italian father and Puerto Rican mother. He spent his childhood in the guidance of his parents. He also has a half-brother James from his mother's second marriage. Ronnie always had a lot of affection for his parents. The now 32-year-old Ronnie used to work in real estate for his father. But later he left the work and initiated his television career by appearing in the MTV's hit reality show Jersey Shore back in August 2009. Ronnie starred in six seasons of the series until it ended in 2012. During the tenure at the show, he even appeared at the TNA Wrestling's Impact Wrestling at Macon, Georgia in October 2011 where he appeared in the ring alongside TNA star Eric Young to wrestle with the pair of Robbie E and Rob Terry. After the Jersey Shore ended in 2012, Ronnie with his co-stars made an appearance on the 2012's movie The Three Stooges. He also starred in the Xenadrine advertisements. In 2017, Ronnie starred in the second season of the reality show Famously Single. Just after a year, he joined the crew of Jersey Shore: Family Vacation in 2018. With frequent appearances in Television and media, Ronnie, who stands at the height of 5' 6" (1.68 m), has amassed himself a net worth of $3 million. As for his love life, Ronnie has suffered failed relationships a lot of times. Back when he featured in Jersey Shore in 2009, he had an on-and-off relationship with fellow castmate Sammi Giancola. Their relationship elongated till 2016, but could not flourish more than that. In 2017, Ronnie had a fling with Malika Haqq, the star from the show, Famously Single. However, their relationship ended after Ronnie got into a relationship with Jennifer Harley in July 2017. Soon after they started dating, the pair welcomed a baby daughter on 2 April 2018 and named her Ariana Sky Magro. While the birth of their baby was meant to fortify their relationship, it tended to be just the opposite. The pair reportedly broke up in 30 April 2018 after a public fight on their Instagram. But the duo again rekindled their love on 15 May just to part ways on 20 May 2018. In June 2018, the duo physically fought in Las Vegas. Ronnie struck Jennifer multiple times whereas Jennifer beat up Ronnie and dragged him in the car while he was stuck in the seat belt. With such nasty fights in public, Ronnie's relationship with his baby mama appears to worsen every day. However, his relationship with his little daughter is turning into blissful fatherhood. Ronnie is unhesitant to share the pictures of his two-month-old daughter in his social media accounts and flaunt his relationship with her. On 13 June 2018, he Instagrammed the first glimpse of his daughter's smile via a video and awed all his followers. In the caption, he reflected his love for his little one and tagged the picture as "Happy Life" while calling his daughter his little monster. Ronnie also spent quality time with his daughter at her first day at the beach in Santa Monica, California on 19 June 2018. Speculating on his Instagram posts, it is quite clear that Ronnie is all in love with his little princess. It would be great for his daughter if he stayed away from the feuds with his baby mama, and plan a healthy future for their daughter.